This article was taken from the latest issue of our travel magazine, The Experts. 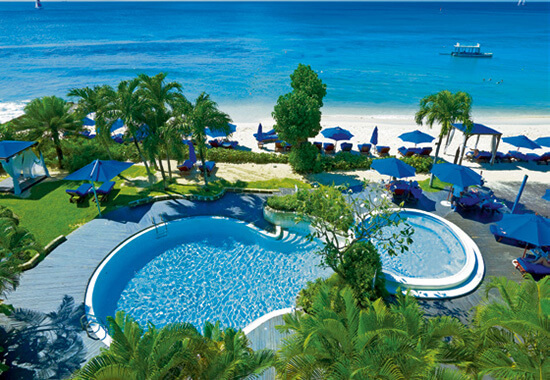 For years, Negril’s beach in Jamaica has been rated one of the best in the world. Perhaps that’s why it has earned its ‘seven mile’ label, although it’s only (still an impressive) four miles long. Don’t expect seclusion though, as this sugar-white, palm-fringed beach lapped by turquoise waters is the beating heart of Negril. Through the day, try out one of the many water sports on offer and, as the sun goes down, feast on local fare at the Jerk Chicken Hut on the beach before sipping a sundowner to a soundtrack of reggae in the legendary clifftop Rick’s Café. 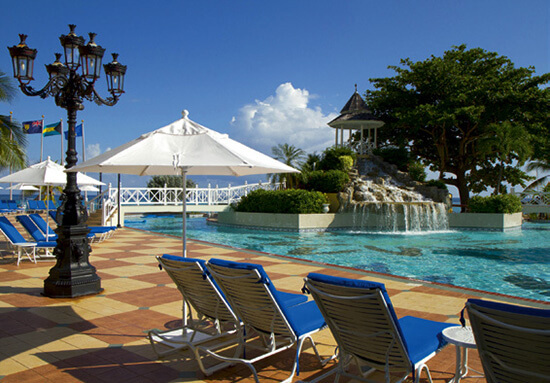 WHY WE LOVE IT: From the two huge pools to the luxurious Radiant Spa, you will be spoiled from the moment you arrive at this beachfront resort. Adults only and all inclusive, service and facilities are incredible throughout the resort with butler services for suites, multiple dining options and a selection of bars. STAR QUALITY: Happy hour is whenever and wherever you want it – even in the pool where staff will wade into the water to serve you! WHY WE LOVE IT: A regular on the Condé Nast Traveler Gold List, it’s hard not to fall head over heels for this timeless beachfront haven. 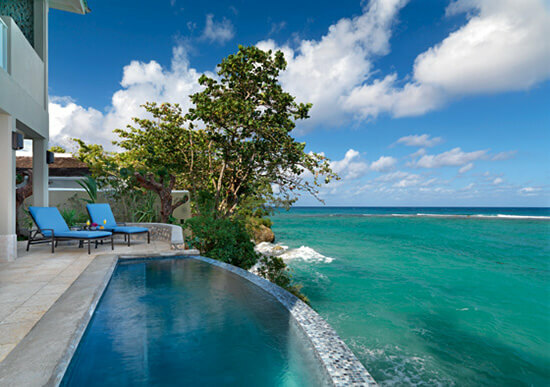 With 52 white-washed suites and cottages, Jamaica Inn is as much about seclusion as opulence and romance. Laze by the pool and choose from private beach dining, an al-fresco restaurant or have your lunch delivered to your sunbed. STAR QUALITY: Gaze out across the beach while enjoying a massage in Jamaica Inn’s tranquil Ocean Spa, where open-air therapy rooms are filled with the relaxing aromas of scented oils. Harbour Island in the Bahamas may only be three and a half miles long, but what it lacks in size it makes up for in beauty. Pink Sands Beach is a stunning three-mile sweep of rose-tinted sand, its distinctive blush made up of coral and the microscopically tiny shelled animals known as foraminifera that have washed up from the nearby reef. Sunsets here are hard to beat as the earthly pink hues reflect the sky’s deepening blue. Peel yourself away from the sunbed and explore Harbour Island’s Current Cut dive spot, which is one of the best in the world, take in the pastel-painted Colonial charm of Dunmore Town or tuck into Caribbean fusion food in one of the chic bay restaurants. WHY WE LOVE IT: Exuding European charm, the resort features lavish guest rooms and opulent suites, some ocean-facing with a balcony or patio. An extravagant day spa, a sparkling pool, tennis courts and numerous land and water activities will also appeal, as will the culinary delights of 10 speciality restaurants and eight bars. 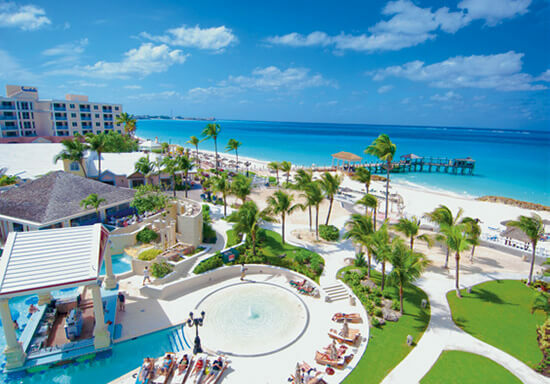 STAR QUALITY: Like two resorts in one, Sandals offers a beachfront location as well as its own private island with complimentary ferry access and chic beach club with swim-up pool bar. 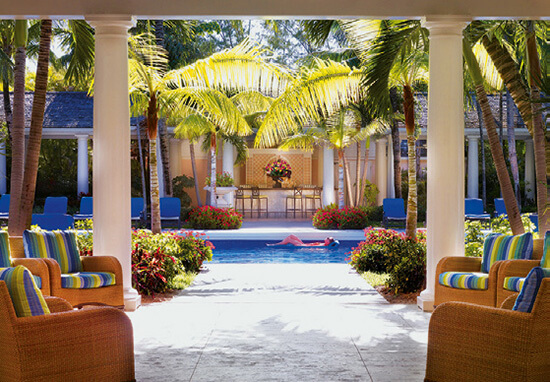 WHY WE LOVE IT: This elegant, colonial-style resort is a veritable playground for the rich and famous. Sleek, charming and fringed by cerulean seas and sugar-white sands, it serves up a warm and inviting atmosphere across its cottages and villas, with a 24-hour butler service, pillow menu and a daily delivery of Champagne and strawberries. Villa guests also get a personal chef – how’s that for luxury? STAR QUALITY: 007 stayed here. Well, sort of – the hotel appeared in the 2006 James Bond movie Casino Royale. With the twin peaks of the volcanic Pitons as its dramatic backdrop, beaches don’t get more picturesque than the crescent-shaped hideaway of Anse des Pitons, three miles south of Soufrière on St Lucia’s south coast. Nicknamed Sugar Beach, its exquisite, fine-grained sand was imported from Guyana and spread over the existing natural black sand. The calm, clear waters are perfect for swimmers and snorkellers. Part of the protected National Marine Reserve, their colours are ever changing from blues to greens to turquoise, and teeming with psychedelic marine life beneath the surface. 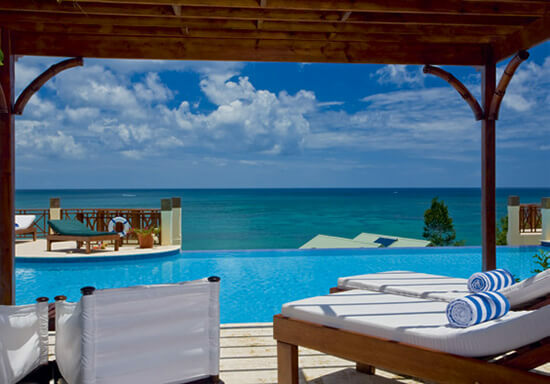 WHY WE LOVE IT: Relaxation comes easy to this St Lucian resort. Intimate and with old-world charm, Calabash Cove Resort & Spa boasts a romantic location, nestled on a hillside overlooking Bonaire Bay. If the turquoise waters don’t tempt you, the infinity pool will – especially if you opt to stay in a swim-up suite. STAR QUALITY: Don’t miss cocktail hour at the resort’s swim-up pool bar where you can try mixologist Chris Ingles’ signature cocktail of mango juice, pineapple juice, lime juice, light rum and blue Curaçao. WHY WE LOVE IT: Jade Mountain is a true retreat – we’re talking no TVs, no phones, just a pure, uninterrupted Escape. So, instead of worrying about what’s going on back home, you can indulge in the on-site spa, al-fresco dining and complimentary water sports, from snorkelling to sea kayaking. Most importantly, you’ll be at one with nature and the beauty of this perfectly placed resort. STAR QUALITY: Enjoy unobstructed views of the majestic twin-peak Pitons from the privacy of your own infinity pool or the luxury of your three-walled suite. This north-west coast stretch in the parish of Saint Peter, Barbados, has powder-soft sands and calm, crystal-clear waters that make for excellent visibility if you’re snorkelling. A circular reef close to the shore puts on a technicolour display of rainbow coral populated by parrotfish, barracudas, angelfish and even sea turtles. Unwind to the sound of Calypso at Mullins Restaurant & Cocktail Bar – a beach shack that serves up Cajun-spiced cuisine and rum punch with a kick. WHY WE LOVE IT: Whether you opt for a pool-view room or luxury ocean-view suite, you’ll sleep soundly on a luxurious king bed, rest splendidly in a marble bath tub and be able to watch the sun rise and set from your private balcony or patio. Away from your room you’ll find an on-site spa, dining options and the Aqua School offering a range of water sports. STAR QUALITY: Don’t leave without trying the Tuna Tartare – succulent cubes of fresh yellowfin tuna served with avocado and tomato salsa and wasabi aioli. Delicious! 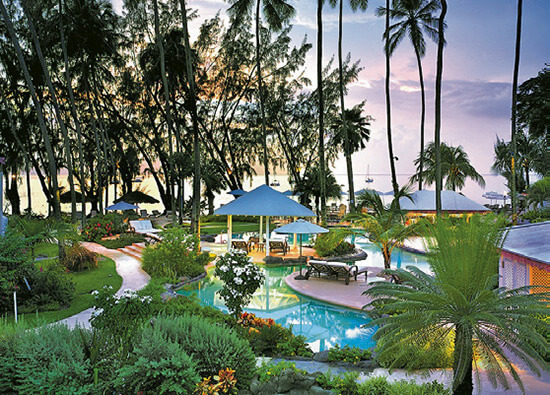 WHY WE LOVE IT: This chic, adults-only retreat is all about inclusive treats – from a jet-lag revival massage to a Champagne breakfast – while you enjoy the best Barbados has to offer. Guest rooms are bright and modern, boasting plush furnishings, king-size beds and marble-clad bathrooms, as well as sweeping balcony views across tropical gardens and lagoons. STAR QUALITY: You’ll feel like a VIP as soon as you arrive as ambassadors welcome you with cold towels and a cool drink. Need help planning your Caribbean holiday? Whether it's Barbados, St Lucia, Jamaica, or another exotic isle, our Travel Experts can help you plan your ultimate beach holiday.